Did you know that over 4.5 million Americans wear braces? A far greater number continue to undergo orthodontic treatments—and still there are some who struggle to find an orthodontist in their area. At Penn Dental Family Practice, we’re proud to treat Philadelphia residents of every age and background. From adults in Center City to children on the Main Line, our on-site orthodontists help patients from every corner of the region to reveal their best smiles. That’s because our practice features three ideally-located offices to help accompany your orthodontics needs, wherever your home may be. Penn Dental Family Practice can help you achieve the perfect smile.If you’re looking to find an orthodontist in your area you’ve come to the right place. 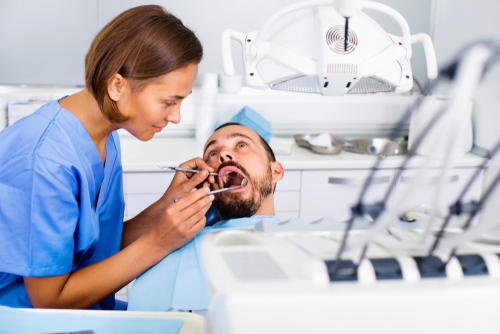 At Penn Dental Family Practice, each of our three practice locations features comprehensive dental services, including both general family dentistry and specialty dental services provided by licensed specialists. That, of course, includes our expert orthodontists. One of our two Center City locations, our Locust Walk practice can be found on the third floor of 240 S 40th Street. Parking vouchers for Penn Dental Family Practice patients can be obtained for discounted parking rates at the Penn Parking Garage located at the Fresh Grocer on 40th Street and Walnut (entrance is on Walnut street). Perfectly located for students and other Center City Philly patients, Penn Dental Family Practice’s second location can be found at 3737 Market St. Suite 1000. Learn more about our popular University City office. Our newest practice location is located on the heart of Philadelphia’s suburban Main Line. Penn Dental on the Main Line is situated at 1205 Westlakes Drive, Suite 180, Berwyn. Relocated from our former Main Line location in Bryn Mawr, this new office features a full range of specialty services (such as top-grade orthodontics) as well as expanded and weekend hours to better accommodate our patients’ work and school schedules. Orthodontics patients at Penn Dental Family Practice are treated by leading specialists who are equipped with the most exceptional skills, dental resources, and available methods. Each of our orthodontists undergo two additional years of training and education in addition to standard dentistry schooling. We are proud to treat improper bites and irregularities of the teeth and jaw using the most advanced and effective treatment options, including standard braces and clear Invisalign aligner trays. If you’re a Philadelphia area patient asking, “Where can I find an orthodontist near me?” the orthodontics solution you’re seeking can be found at one of Penn Dental Family Practice convenient locations. To learn more or to schedule an appointment, contact Penn Dental Family Practice today at 215-898-PDFP (7337). We’ll help you find an orthodontist in your area that perfectly fits your needs.